Well I have had a productive morning. and I had another sun in reserve. I think I will end up making more, but today I wanted to have go at working out what was going to happen between the birds and the suns. I had a notion that I wanted to use triangles, but cut a few squares and sewed up a couple of flying geese so that I could see what I thought. I also considered HSTs, but didn't sew any (just folded my squares along the diagonal). Neither of these was quite hitting the spot for me, but I thought maybe I'd go with the geese. As I was cutting a pile of rectangles it occurred to me to mix it up a bit more and I did this. I'm being cautious about how much I sew together at this stage, as I still think I'm heading for a 'not-quite-a-medallion' sort of thing, but you can see here how the next chunk might look. If I get too carried away I'll just end up with some sort of horrific piecing challenge trying to put it all together! And that is where I left it. Much as I wish I could sew all day without stopping, I have come to realise that mostly I can only do 3 or 4 hours before my brain seizes up and rather than carrying on and making bad decisions (or just making elementary errors like sewing things on backwards/upside down) I have to stop. But I'm feeling pretty happy about this right now. I agree that it is better if we stop even when we don't want to - my brain seizes up, too. Love the mixed up flying geese and that strip with the shirt buttons -- this one is going to be SO wonderful! The flying geese blocks look really good! I especially like the way you used three different fabrics in most of the blocks and they way you changed the position of the fabrics so no two are alike. That adds so much interest! I like how it's coming along. The geese are a great addition!! I agree with Yvonne, the geese make sense with the bird fabric. Love the flying geese Kaja - a great idea! You are the queen of improv.! Always so exciting to see where you're going to go next! I love the geese! You are on a roll. I have no idea, though, how you plan to make this a medallion! I like the geese with your birds. And I'm quite intrigued by the suns. It's giving me some ideas of my own. Thanks. I like how the fabrics you are using in this quilt contrast with each other in a quiet way. The geese are a hint of geese and don't take up too much space. it must be nice working with this sunny palette in the winter. 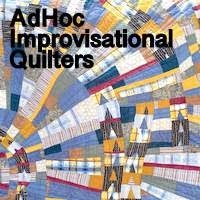 It's fun to see the thought process behind an improv quilt. Those fabrics are so happy, and I'm looking forward to seeing where this ends up! I like the mixed geese - it's looking very good. Interesting mix of components, good to start the new year with a new project, Kaja. Loving this! Those flying geese & buttons look great, and I'm keen to see what's next! I love the suns! Perfect blocks for a yellow quilt!